Well, with the trout out for this year, in go the perch. 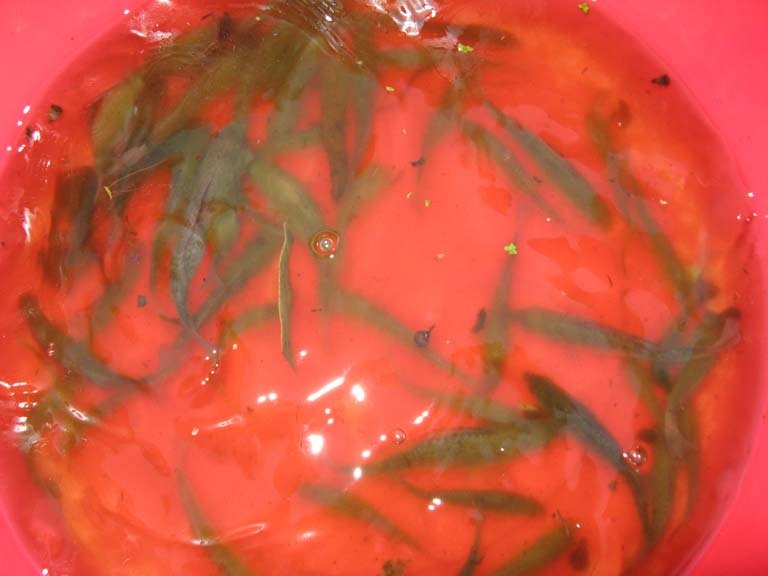 We put two sizes in- fingerlings that will take this and next summer to grow to eating size, and some larger (approximately 300 grams) that will be ready during this summer. This means we won’t have to wait a full 18 months before we have any fish ready to eat. 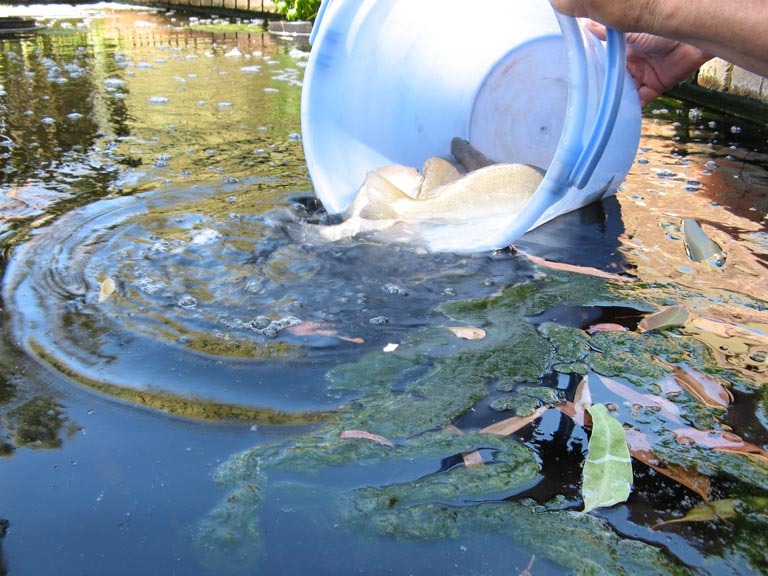 The plan now is that each spring we add more perch fingerlings and this should enable us to maintain a steady supply of fish without the need to completely harvest every 6 months. We are looking forward to the perch getting bigger and eating all the string algae so it is nicer for swimming! Well, the trout season for this year is over as the water is warming up and soon the trout wouldn’t cope. We started with 50 trout (put in on May 6th as 15 gram fingerlings), and over the last month or so have been harvesting a few at a time. They ranged in weight from 450-800 grams. 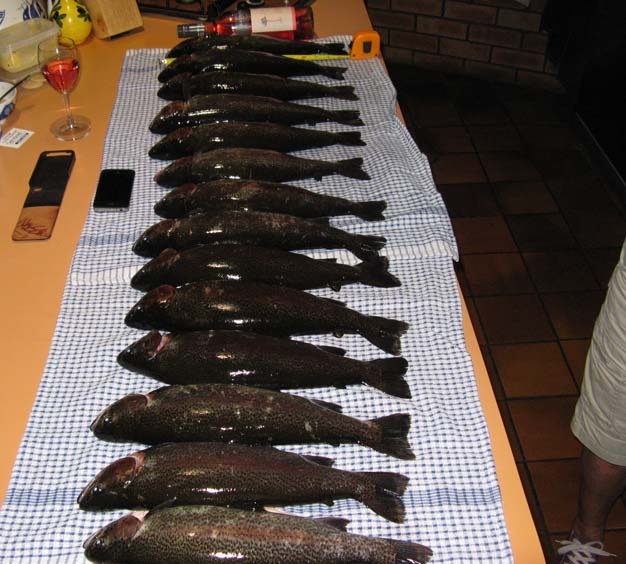 Our final harvest, 14 trout, weighed in between 800 grams and 1kg!!! We were very pleased with such a good result! The wine bottle shows the size of them, the longest being 40 cm.